All reservations are required to provide a Credit Card to hold your time slot/party size. No charges are made to the card; this is only a hold. If you decide to cancel, please allow 48 hr advance notice to prevent the no call/no show fee of $200. Three for dinner. 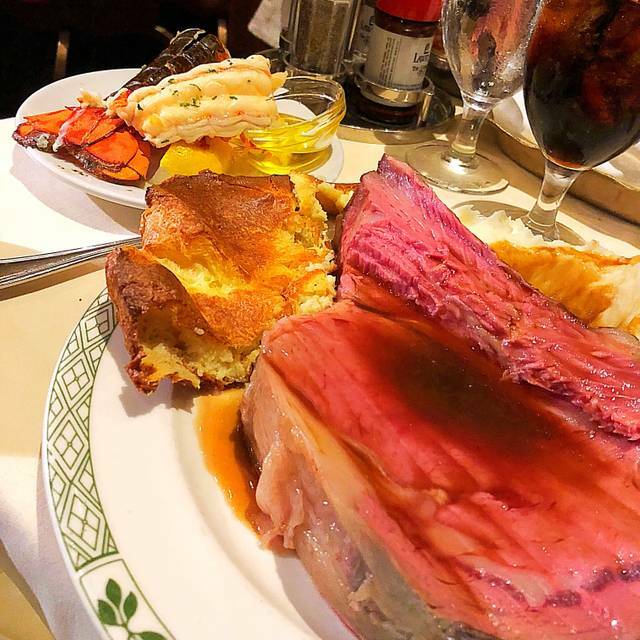 Lawry's served it's most popular dishes: Warm Sourdough Bread, Salad, Prime Rib, Yorkshire Pudding, Baked Potato, Creamed Spinach, Creamed Corn, Salmon with Vegetables, Coffee. 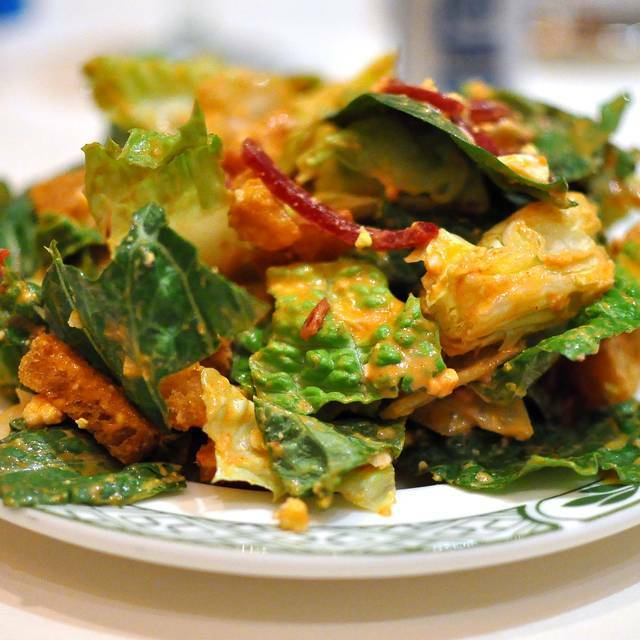 The food quality is consistently good and the ambiance enables easily heard conversation. Lawry's is my favorite Restaurant. I actually tried the ribeye steak with the peppercorn sauce. It was grilled to perfection. For dessert, I chose the lemon ice cream which was creamery and delightful. It was a wonderful way to celebrate my birthday. Lawry's is #1. Fantastic Our chef, a female cutter was incredible. This was our first time. Everything was wonderful from beginning to end. The staff was exceptionally friendly and welcoming. We will definitely come back again! The food was cold/ lukewarm. If it had been hot it would have been great. We had to wait 35 min to be seated. Our reservation was at 4:00 and we were seated at 4:35. We have always enjoyed Lawry’s. Have visited many times over the years and will continue. It’s one of our favorites. Outstanding service as always. A very nice ambience. 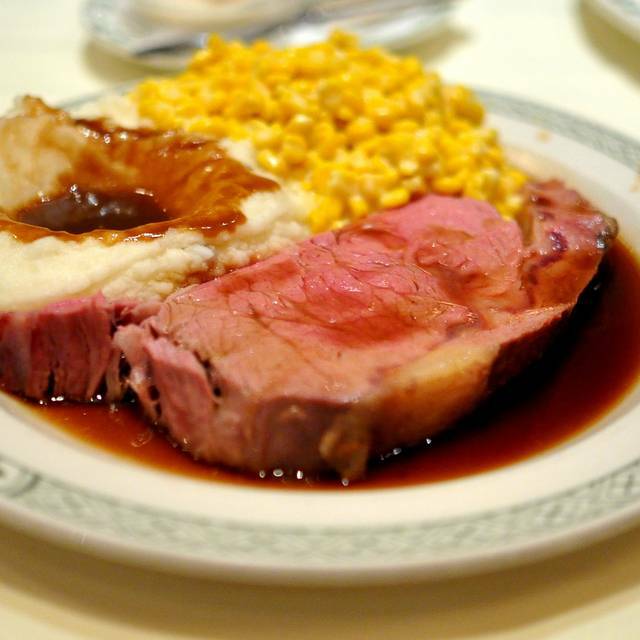 Lawry’s has the best, most tender prime rib but it is pricey. We arrived for Easter lunch reservation at 1 pm, however, we waited nearly 30 minutes to be seated. It took another hour to receive our meal. Our servers were either too busy or just inattentive to our needs. Bus boy was the only one who seemed to notice our table. Management stopped by to apologize for the delay but never offered any compensation for our time. We mentioned a free dessert would make up for the 1.5 hour wait to receive our plate but nothing was comped so we tipped less... especially since it took another half hour to complete our check. We’re locals/vip rewards member and have been going here for many and today was by far the worst service received and hope this is an isolated situation. Food was excellent as always!! The prime rib was so tender and juicy! The mashed potatoes with gravy was perfect the way it should be. Beautiful interior. Very elegant and warm. Everything is spectacular! the Lawry's cut and diamond cut has a big bone and fats no meat. As a regular, I felt that the tonight's rib eye wasn't as good as the usual. However, still a wonderful experience. I was really happy with our experience this time. We had not had the best experiences the last two times we were there, but this Saturday evening everything was superb - the way it has been over the years. Thank you for proving to me that things have not changed. The food was excellent and the service was even better! Thank you for a wonderful evening. Absolutely perfect. One of the best places to people watch on a Saturday evening in Los Angeles and that is just a bonus to a great meal presented in a unique way. 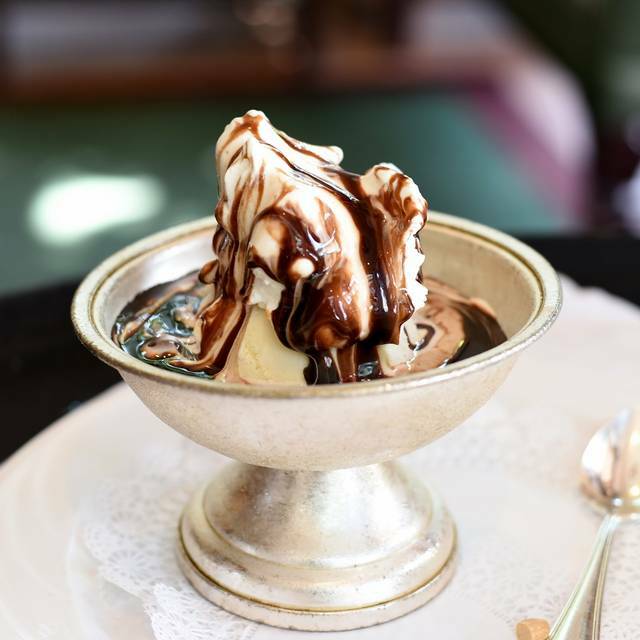 The Lawry's "experience" never varies: staff that is polite, professional, and well trained, decor that is a throwback--in the best sense--to a time of more formal dining, and, of course, the food--which is always excellent. 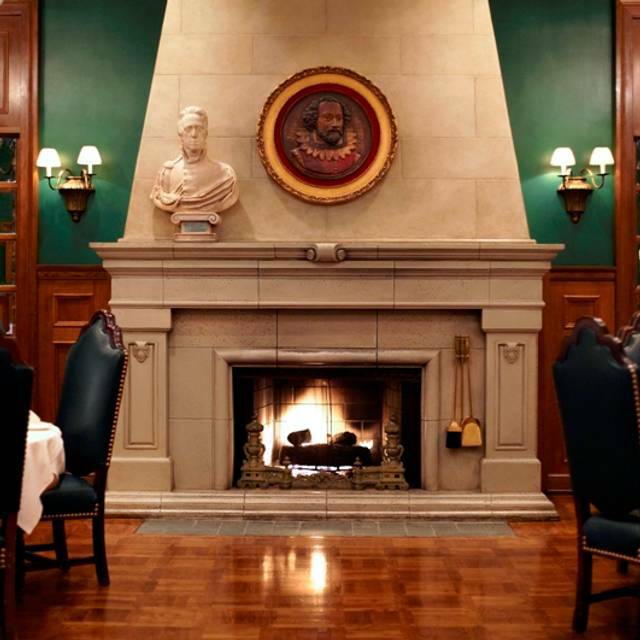 We have come to Lawry’s for years for special occasions. Service is always excellent, prime rib superb. (It’s the only thing we ever order, so I can’t comment on the others main courses.) The reason for the downgrade to 4 stars is that the last three times we have gone, at least half of someone’s prime ribs is fat. I understand that fat makes prime rib great, but when half is fat, some accommodation should be made, like a second slice offered to compensate for the inedible waste. The service was wonderful the drinks were delicious. The steaks are prime Rib are the best in town. Also they gave hits of things to come. More steaks plus other dishes. This was my Father’s 80th birthday celebration and his favorite place to celebrate in the past. Miss Thomas our server was fair, no presentation, her head dress was dirty, she had no personality. She did not introduce our carver and then presented a wilted salad, & very rare bloody prime rib instead of pink. The room also was not the main pretty room it was on the side, and the temperature was on the cool side. The dessert -lavender honey ice-cream, was really tasty but the coconut cream pie was poor and mushy. 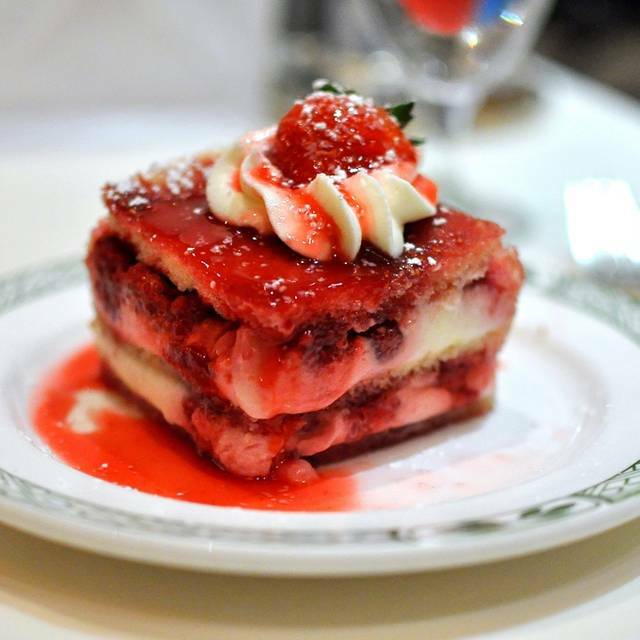 The birthday dessert, strawberry trifel was complimentary, and substandard. When you pay $400 for a meal you want it to be great especially for an 80th birthday. We drove from San Diego and should have stayed home and gone to “Morton’s of Chicago”. 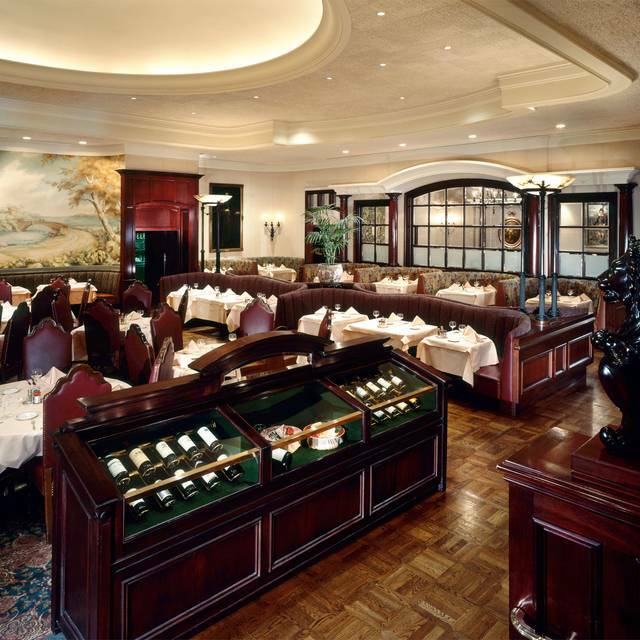 My first grand experience at Lawry’s was in the 1970’s, this will be our last trip to Lawry’s. We are very disappointed that the dining experience is inconsistent, and that the charm and great service of your restaurant has deteriorated. The experience was perfect as was the food and service as usual. We only had one bad experience is the last 40 years when we were seated next to a loud and slight drunk customer. Other than that, Lawry’s has never failed to live up to my highest expectations!!! Birthday dinner at Lawry's is always a nice way to celebrate with friends. 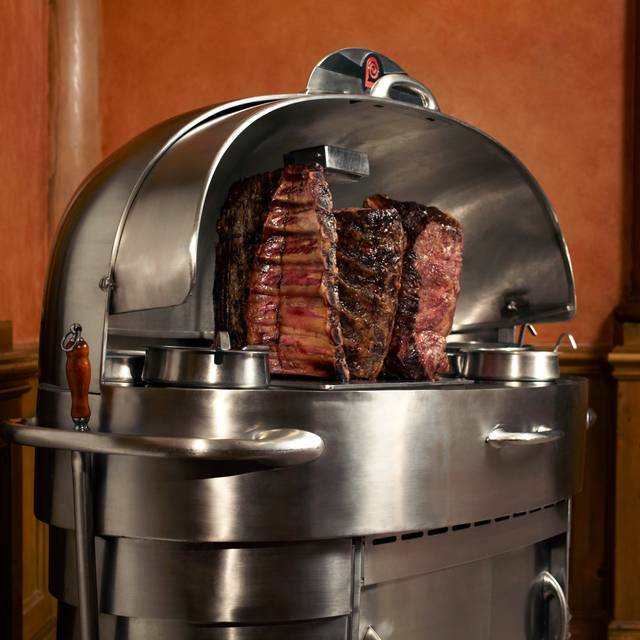 The menu offers something for everyone -- traditional prime rib with all the accompaniments, steak, fish, vegetarian. We all enjoyed the food, service, and ambiance. We were celebrating our people. The 4 of us had the best time. The food was awesome!! Lawry's has been my favorite restaurant since I've been 5 years old (now 64). There's never been a bad meal there. The great thing about it the food tastes just as good as when I started going in 1960. It's the best! Amazing food! Large party and we paired up with that April special for two guests. It was perfect! There is no better prime rib in America, period! I love the entire experience at Lawry's and feel that the table side carving is an added perk. I strongly recommend Lawry's especially the terrific Beverly Hills location. We Love Lawrys! The food is always exceptional! The libations perfect! The dining rooms are beautiful and the staff are superb! Well trained, courteous, helpful and well paced! Our waitress was Ms. Yi and she was excellent! Many thanks to the management and staff and for making my friends 60th Birthday dinner one to remember! Date With my husband and our two sons to celebrate one of our anniversaries - our Holy Marriage 2007 ceremony. Whenever we have the chance, whether it’s a family celebration or not. We love going to Lawry’s the prime rib. 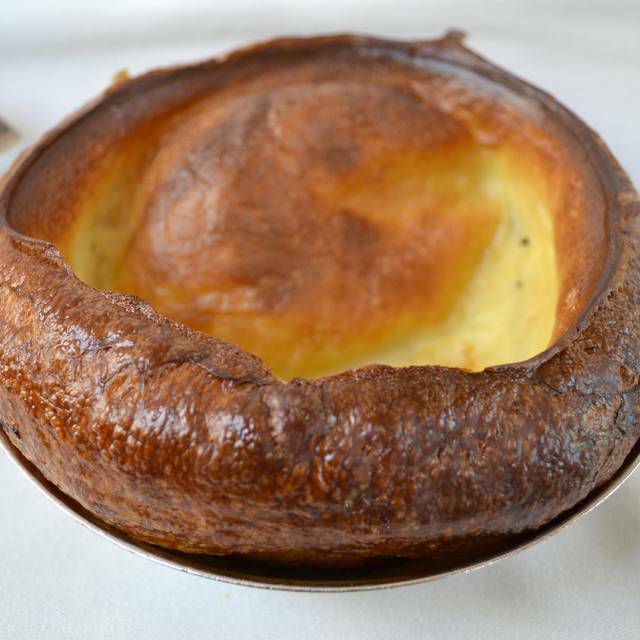 The food is always exceptional, the service is second to none. It wasnt' as crowded on a Thurs early eve as expected which was wonderful. Excellant experience all around. Loved it all! Birthday was as special as I wanted it to be for my guest. Highly reocmment. I am a long-time Lawry's patron. Over the years I have been many times, and I know some of the waitstaff and carvers. I love their prime rib! During our last visit, they were promoting dry aged prime rib for an additional charge. The waitress told us about this special item - which was not on the menu. She said that it would be $10 per cut more than the traditional prime rib. We were intrigued and so we each ordered a large steak. It was delicious! However, when the bill came, the cost for the dry aged cuts was nearly 50% higher than the price on the menu! We spoke to the manager, thinking that there had been a mistake. Nope. We told him the price the waitress quoted us, and he said: "She told you that?" No adjustment was offered. The drinks were very expensive and our bill was really high - compared to the countless times we've been there. This may signal a change in management or business model, but it has made me disinclined to return. Very disappointing. Amazing food as usual and they even had the special dessert available that my wife loves! Keep it up Lawry’s. In a world of falling standards, you’re a breath of fresh air.